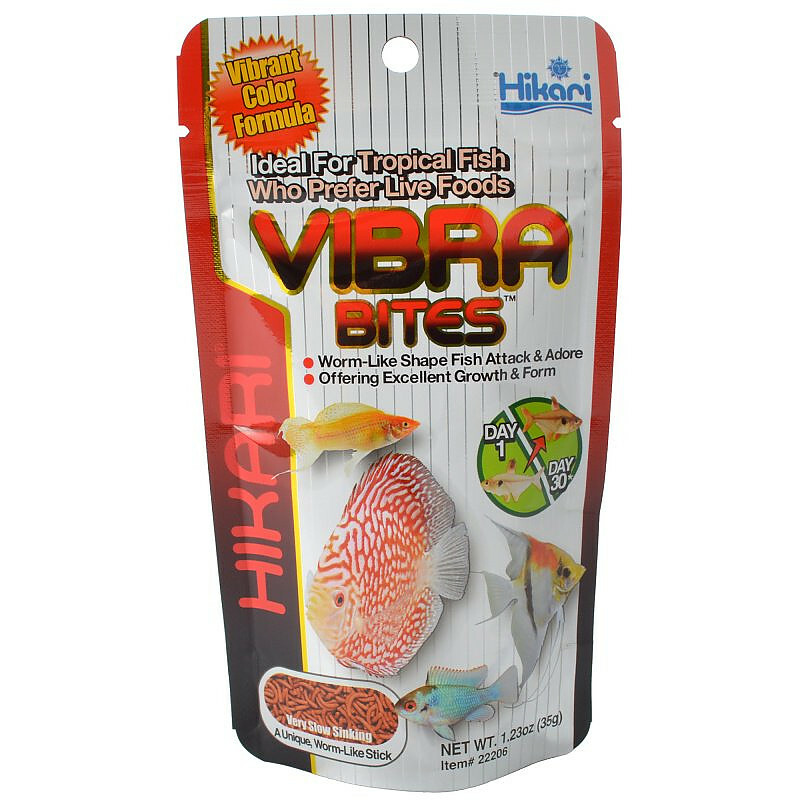 Hikari Vibra Bites for Tropical Fish are a world first: a very slow-sinking, bloodworm-like stick, filled with nutrition and natural color enhancers to optimize the look and health of your fish. 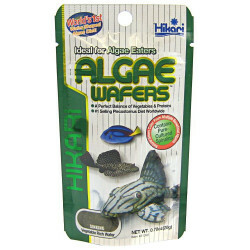 The worm-like shape is perfect for fish who prefer to attack and devour live foods. 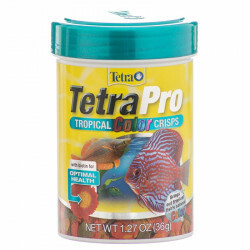 Vibra Bites contain carefully selected color enhancing ingredients that quickly bring out your tropical fishes' natural colors. The worm-like shape of the stick moves with the current of your aquarium water, mimicking the movement of live foods and encouraging active feeding—without the risks or parasites or bacteria associated with live foods. 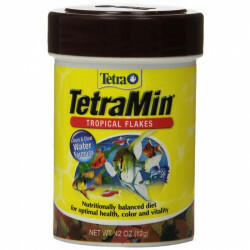 Feeding Guide: Feed 2-3 times daily the amount your fish will completely consume within a few minutes. Avoid over-feeding and always remove uneaten food after feeding period. Note on Food Color: Hikari Vibra Bites contains high levels of natural ingredients which may cause a slight change in color from one production lot to another. 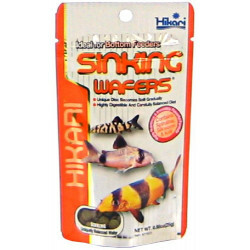 Rest assured that because of rigid quality standards, each package meets Hikari's superior nutritional specifications.